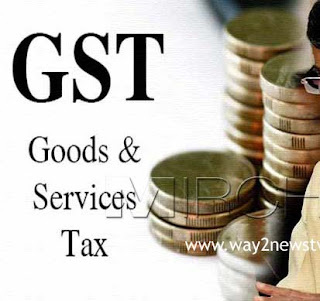 The GST issues are still in the vicinity of the treasury. In the six months that GST was operational, 16 per cent decreased. Officials also noted that there are also many issues in GST. Officials say there is no way to prevent illegal shipments due to the withdrawal of checkpoints. The decline is due to the decrease in revenue and the GST's compensation. There is a possibility of cutting some divisions from 18 percent to 18 percent in the meeting. The state trade department officials are also preparing the new proposal for further proposals. There is no fixed income earned by the GST, which was implemented from July. So far, the target of Rs 29,823 crore has been fixed and VAT and GST have added Rs 27,026 crore. Every month, the figure is Rs 1,457 crores and it is estimated to be around 16 percent in six months. Apart from petrol, diesel and alcohol, which is in the range of VAT, it is understood that the revenue from other GST divisions is reduced. It also earned some revenue from the petro products. In the six months, the target was Rs 7280 crore and it was Rs 7,331 crores. After the GST, the amount of Rs 14,034 crore was to come and Rs 12,805 crore. In the six months of the Rs 27,000 crore IGST, SGST alone came to nearly six thousand crore and the rest of the VAT. This figure was identified as 16 percent of total revenue. It is estimated that in July and August, 116 crores, 266 crores in September and October will be worth Rs 382 crores in November and December. Officials say that the final arrangements will come only at a cost of Rs 200 crore at the time of finalization. Officials are also focused on the issues in the implementation of the GST. Even though the state is trying to implement the e-way bill system, the Center is not willing to interfere with problems. According to state officials, this is not the case. Checking out the check posts in many areas has to be trusted only by mobile checkers. However, officials say that there are problems with the lack of proper staff and staff. At the same time, vehicles and cargo handling are also reported to be difficult. Officials say that regulations and income returns are also in trouble due to technical issues in GST missions.